When it comes to exploring the benefits of CBD, knowledge is certainly power. Make no mistake: Understanding the science of how cannabis interacts with the human body is a crucial first step if you intend on factoring it into your routine in an efficient, lasting way. Because our bodies are all different, zeroing in the products that work best for us often requires some trial and error in addition to that baseline education. This can be an overwhelming ask in a cannabis market that seems to be growing all the more crowded every day. That's why we're counting down the CBD products that we can personally vouch for—from muscle-relieving sprays to anxiety-reducing chocolate. You're welcome. 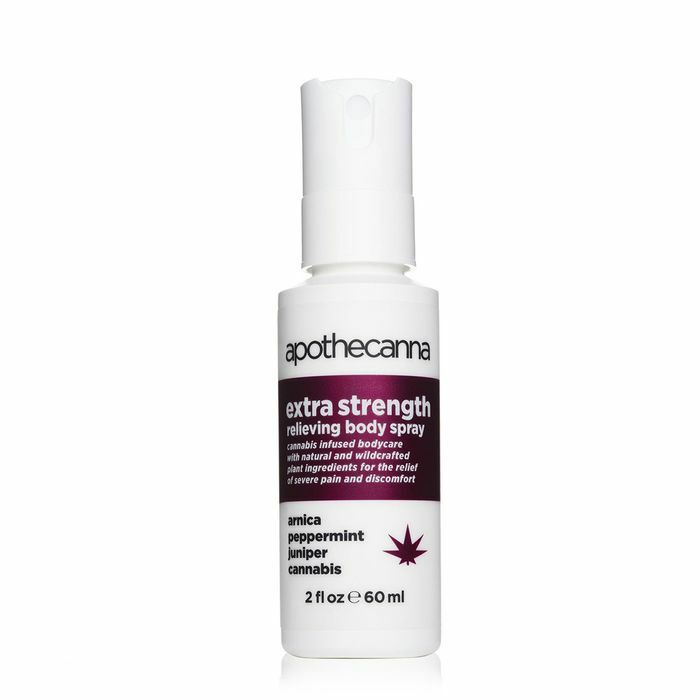 I first fell in love with this soothing spray as an effective tool for sore muscles. But it became a bona fide staple in my routine when, in a Hail Mary moment, I massaged it into my abdomen during a particularly rough bout of period cramps. Peppermint and juniper are cooling upon contact, while arnica and cannabis work deep to soothe pain and inflammation. A raw chocolate spread infused with all the benefits of CBD? Say no more. Just don't say we didn't warn you: This stuff is addictive. Charlotte Palermino, cannabis expert and one half of the team behind weed-centric newsletter Nice Paper, swears by this topical salve. Use it wherever you feel cramping or pain. High-grade CBD combines with magnesium stearate to provide speedy relief. Byrdie managing editor Lindsey describes these chocolates as nothing short of incredible. "They legit feel like I just took a muscle relaxer," she says. The chocolates are also crafted with just raw cacao, date paste, and Himalayan sea salt, so you can enjoy them sans any guilt whatsoever. We were first introduced to this potent CBD oil via Moon Juice several months ago when the superfood destination collaborated with Charlotte's Web on cannabis-infused smoothies. The mint chocolate flavor makes it a luscious addition to a green smoothie, in my opinion, while Byrdie assistant editor Erin loves it in her morning coffee. CBD gets a lot of buzz for its anti-anxiety and pain-relieving properties, but it's also a potent anti-inflammatory for a variety of different skin conditions. I use this cooling lotion during psoriasis flare-ups, and it's also highly effective on sore muscles and joints. Multitasking for the win. Still curious about the science behind CBD? Learn more here.